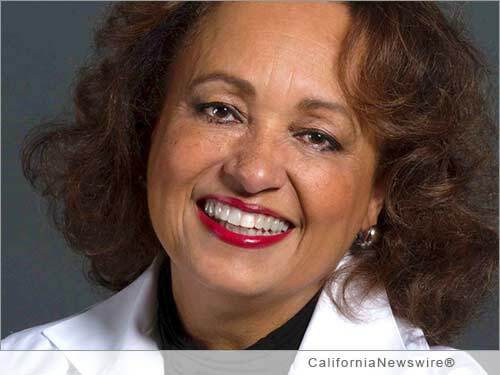 SACRAMENTO, Calif. /California Newswire/ — More than 600 members of Delta Sigma Theta Sorority, Inc., the largest African-American women's organization in the country, will spend Friday and Saturday Jan. 30 and 31 in Sacramento at the Doubletree Hotel celebrating their Founders Day. The organization was founded in 1913 on the campus of Howard University to promote academic excellence; to provide scholarships; to provide support to the underserved; to educate and stimulate participation in the establishment of positive public policy; and to highlight issues and provide solutions for problems in communities. Today, Delta Sigma Theta Sorority has more than 900 chapters worldwide and has initiated over 250,000 members. The Sorority uses its Five-Point Programmatic Thrust of economic development, educational development, international awareness and involvement, physical and mental health, and political awareness and involvement to formulate its national programs. "Over the past year, the hardworking members of the Sacramento Alumnae Chapter have diligently planned this celebration of public service," commented Sacramento Alumnae Chapter President C. Lynn Carrier. "We also honor our history of partnerships and service to communities in Northern California including the Roberts Family Development Center and Women's Empowerment which are our designated community service projects for this event." The events begin Friday, January 30 including a Delta "Author's Corner" where published authors Daphne Maxwell Reid and Terris McMahan Grimes will be available for discussion and book signings from 3:30 p.m. to 5:30 p.m.
Maxwell Reid, best known for her role as Aunt Vivian on the hit comedy, "Fresh Prince of Bel Air" will be the keynote speaker at the private luncheon on Saturday. She and her husband, actor/writer/producer, Tim Reid, co-founded and serve as principal partners in New Millennium Studios, the first full-service film studio in Virginia. There are several well-known members of Delta Sigma Theta Sorority, Inc., including but not limited to Loretta Lynch, present nominee for U.S. Attorney General, actress Angela Bassett, poet Nikki Giovanni, U.S. Representatives Joyce Beatty and Marcia Fudge, former Congresswomen Barbara Jordan and Shirley Chisholm, singers Natalie Cole, Roberta Flack and Aretha Franklin and former U.S. Surgeon General Joycelyn Elders. To learn more about Delta Sigma Theta Sorority, Inc., Sacramento Alumnae Chapter visit: http://www.dstsacramentoalumnae.com/ .